Unai Emery must overcome his good friend Javi Gracia tonight to put Arsenal back in the top four. The Watford manager was the first person Emery called last summer when taking over from Arsene Wenger became a possibility. The pair were team-mates at Real Sociedad during their playing careers, and the two sets of coaching teams have gone out for dinner together this season. "When the possibility opened to sign here, the first person in the football world I called was him," Emery said of Gracia. "He recommended that I come here." "For example, we had dinner, their coaches and our coaches, one day in St Albans in September," Emery said. "It was a good conversation about football." Arsenal will need to produce a much-improved away display if they are to take anything from tonight's trip to Vicarage Road. 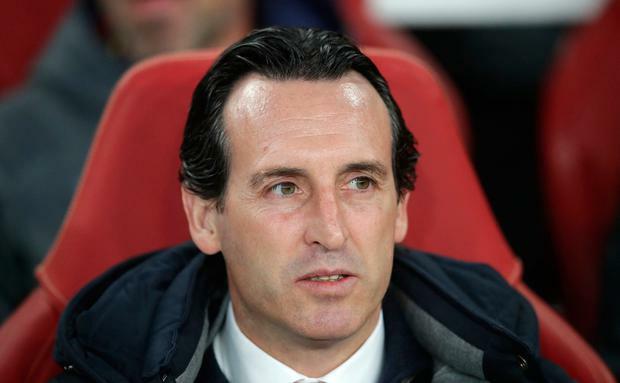 Their disappointing away form continued against Everton eight days ago, but Emery is hoping they will be boosted by the return to fitness of midfielder Granit Xhaka. The Arsenal manager will make changes to the team who were so impressive in defeating Napoli 2-0 at home in midweek, ahead of the second leg in Italy on Thursday. Arsenal's cause will not be helped by the suspension of defender Sokratis, who would have been expected to control the physical threat of Troy Deeney in the Watford attack. Shkodran Mustafi should fill in for Sokratis.